Telehealth update: Health plans are beginning to offer telemedicine services to their insureds that offer 24/7 access to online doctor visits. For example, BlueCare is a benefit for most insureds of BlueShield of Louisiana. As a result, online visits are intended to serve members with non-emergency minor illnesses such as colds (ICD-10 code R09.81 – Nasal congestion). Also, allergies, bladder infections (for example O86.22 – Infection of bladder following delivery), sinus trouble, mild stomach upsets or rashes. 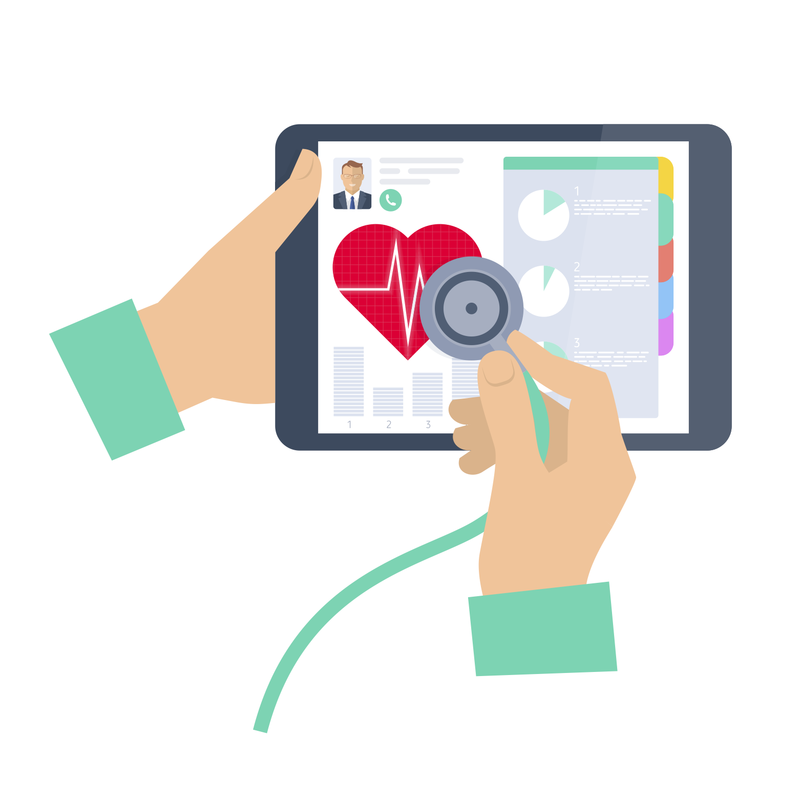 Due to these developments, patients can have an encounter with a physician via mobile device such as an iPhone, iPad, or Android device, over their desktop computer or laptop. Telehealth consultations, emergency department or initial inpatient (G0425-G0427). Effective Jan. 1, 2010. Follow-up inpatient telehealth consultations (G0425-G0427). Effective Jan. 1, 2009. Office or other outpatient visits (99201-99215). Subsequent hospital care services, with the limitation of one telehealth visit every three days (CPT codes 99231-99233). Effective Jan. 1, 2011. Subsequent nursing facility care services, with the limitation of one telehealth visit every 30 days (99307-99310). Effective Jan. 1, 2011. Individual psychotherapy (90804-90809); Psychiatric diagnostic interview examination (90801). Effective March 1, 2003 – Dec. 1, 2013. Individual psychotherapy (90832-90834, 90836-90838) ; Psychiatric diagnostic interview examination (90791-90792) Effective Jan. 1, 2013. Neurobehavioral status exam (96116). Effective Jan. 1, 2008. End Stage Renal Disease (ESRD) related services (90951, 90952, 90954, 90955, 90957, 90958, 90960, and 90961). Effective Jan. 1, 2009. Individual and group medical nutrition therapy (G0270, 97802-97804). Individual effective Jan. 1, 2006. Group effective Jan. 1, 2011. Individual and group health and behavior assessment and intervention (96150-96154). Individual effective Jan. 1, 2010; group effective Jan. 1, 2011. Individual and group kidney disease education (KDE) services (HCPCS codes G0420-G0421). Effective Jan. 1, 2011. Individual and group diabetes self-management training (DSMT) services, with a minimum of 1 hour of in-person instruction to be furnished in the initial year training period to ensure effective injection training (G0108-G0109). Effective Jan. 1, 2011. Smoking Cessation Services (99406-99407 and G0436-G0437). Effective Jan. 1, 2012. Alcohol and/or substance (other than tobacco) abuse structured assessment and intervention services (G0396-G0397) Effective January 1, 2013. Annual alcohol misuse screening (G0442) Effective January 1, 2013. Brief face-to-face behavioral counseling for alcohol misuse (G0443) Effective January 1, 2013. Annual Depression Screening (G0444) Effective January 1, 2013. High-intensity behavioral counseling to prevent sexually transmitted infections (G0445) Effective January 1, 2013. Annual, face-to-face Intensive behavioral therapy for cardiovascular disease (G0446) Effective January 1, 2013. Face-to-face behavioral counseling for obesity (G0447) Effective January 1, 2013. Transitional Care Management Services (99495-99496) Effective January 1, 2014.